UPDATE: While TMZ has reported tickets to Nipsey's services would be sold, sources close to the late rapper's family say that is untrue. 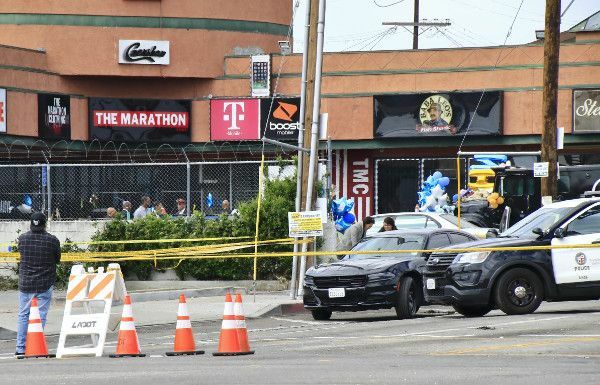 Yesterday, it was reported Nipsey Hussle's family was having trouble finding a space in Los Angeles that is big enough to accomodate all of the mourners who want to come out to say their final goodbyes to the slain rapper. The family turned down places that would only hold 2,000 people because they were looking at places that would hold up to 15,000. Those choices were limited to The Forum and The Staples Center. Nipsey's family wanted to secure a spot where everybody who wants to attend the memorial will be allowed to because they believe that's how Nipsey would have wanted it as a man "for the people." After having a meeting with Staples Center honchos and the LAPD, the family was able to secure the huge arena (it holds up to 21,000 people) for his memorial, a place that both the Lakers & Clippers call home. Neighborhood Nip indeed. Sources tell TMZ Nip's memorial will take place Thursday morning (April 11th). Tickets for the memorial will be sold through a website that has yet to be determined. Only ticket holders will be allowed inside. No word yet about his private funeral service. Also, it hasn't been confirmed whether or not the memorial will be streamed online. Last night, several L.A. street gangs united in honor of the Victory Lap rapper. Members from the Bloods, Crips, and several other gangs around the L.A. area united yesterday for a peaceful march, which took place at the intersection of Crenshaw Blvd. and Slauson Ave - where the Grammy nominated rapper/businessman/community leader was gunned down in cold blood right. According to TMZ, gang leaders from Watts, Compton, and Inglewood met up Thursday (April 4th) to discuss plans for the march and a cease-fire. Sources say they talked about putting the word out in their neighborhoods to put down their firearms and show more unity, starting with the peaceful march. The gangs in LA have come together to salute #NipseyHussle. #Kansas City came out & showed to ⁦@NipseyHussle⁩ just like he would have wanted. The 33-year-old entrepreneur was brutally murdered outside of his Marathon Clothing store last Sunday (March 31st). The suspected shooter, Eric Holder, is currently being held on a $5 million bond. 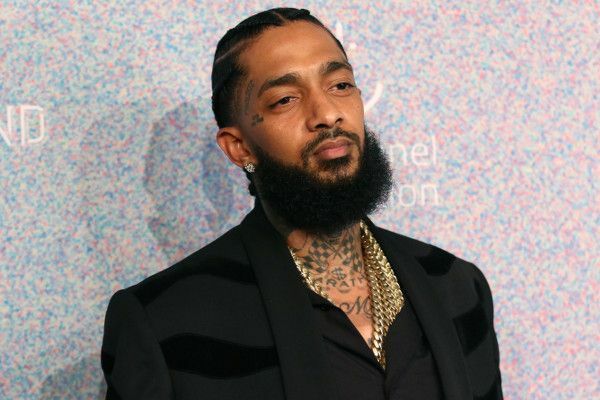 He was formerly charged with the murder of Nipsey Hussle (born Ermias Asghedom) as well as multiple other felonies. Holder plead Not Guilty in court. If convicted, he is facing life in prison. Holder is shockingly being represented by Chris Darden, the lawyer who prosecuted O.J. Simpson. Nipsey's 88-year-old grandmother, Margaret Boutte, spoke publicly for the first time about her grandson's horrendous death and she also addressed the man suspected of killing Nipsey. "I never knew there was so much love like I love him. So that’s uplifting that so many people loved and understood him. I hope these young people will get the message and live a better life – live a better life," she told CBS 2. She talked about the moment Nipey's brother, Samiel, got the call that his brother had been shot. She said Nipsey called him himself. "He got the call and he ran out of here so fast. He never did that in the morning. Right away, I called his mother. I said ‘Angel, something must have happened.’ I said ‘Samiel jumped up, he didn’t take his shower, he got out of here so fast." She added, "Sammy got up there soon enough to start helping his brother. Erias knew Sammy was there before he died." She said she's praying for Eric Holder despite the fact he took her grandson from her. "I’m praying for him too. I hope he does not get killed in custody. Have enough time to ask God for forgiveness. I’m Catholic, I do believe in prayer and I’m praying for him. He was a young, ignorant situation and I’m hoping he’s sorry for what he did." NEXT: INVESTMENT OR MANSION? Cardi B & Offset Buy Up Half A Block For Only $200K!